I was never one of those kids that hated spinach. I watched a lot of Popeye, so maybe that had something to do with it, but spinach has always been one of my favorite vegetables. I'm also quite partial to broccoli. 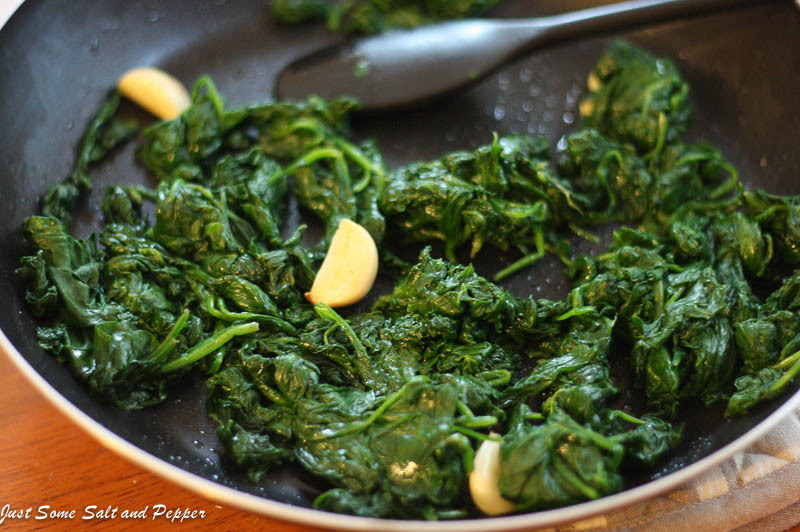 I also love the combination of spinach and garlic, so when I saw this recipe, I knew I had to try it. It combines the two perfectly, and would make the perfect accompaniment to any meal. 1. Boil water in a large pot and add spinach; cook until wilted and drain. Rinse with cold water and drain again while squeezing out extra moisture. 2. Heat olive oil in a large skillet and add garlic; sauté until browned, about 5 minutes. Add spinach, salt, and pepper and cook until spinach is heated through. 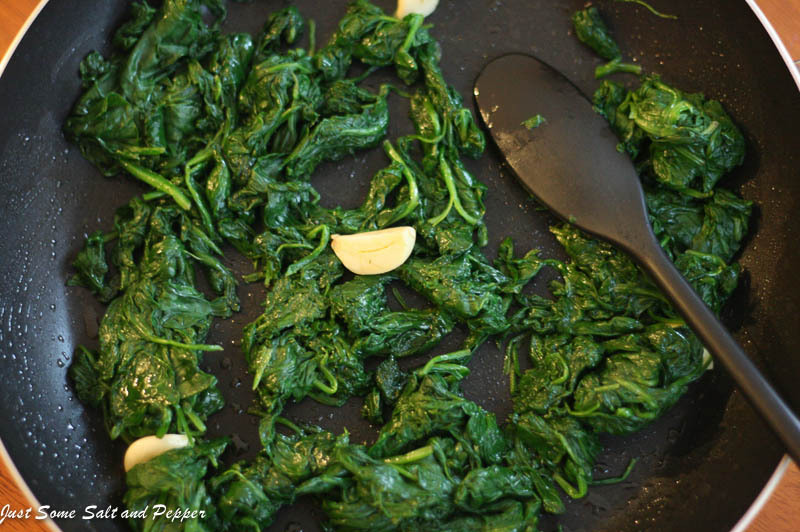 What a great way to cook spinach! YUM! I always loved spinach too. My mom introduced it to me with butter and lemon. Heaven.